Japan’s Studio Ghibli is internationally renowned for its beautiful, emotional animated projects, but its first venture into the realm of serialized television fails to live up to the studio’s exemplary reputation. 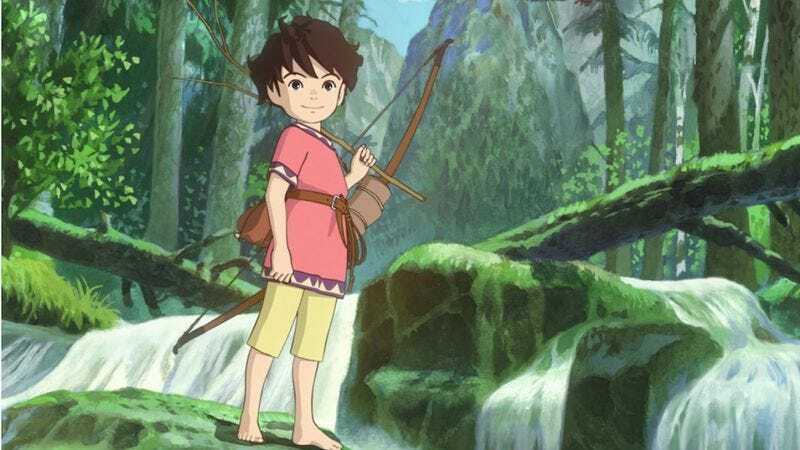 Ronja, The Robber’s Daughter is a 26-episode anime series based on the children’s novel of the same name by Astrid Lindgren (creator of Pippi Longstocking), telling the story of a young girl who befriends a boy her age from a rival robber clan. The concept could have made for an entertaining two-hour movie, but it falls flat when stretched out across nearly 11 hours. The first 13 episodes move at a glacial pace; the larger plot doesn’t start to coalesce until almost two hours in, and even when it does kick in, it takes baby steps forward with each chapter. Having debuted in Japan in 2014, Ronja comes to the United States courtesy of Amazon. 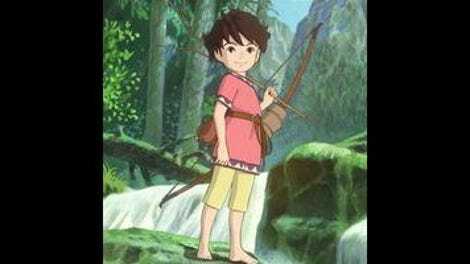 Written by Hiroyuki Kawasaki and directed by Gōro Miyazaki, son of Studio Ghibli co-founder Hayao Miyazaki, Ronja stands out from the majority of the studio’s works not just because of its format, but because of its computer animated visuals. Characters, objects, and certain aspects of the environments are digitally rendered, making the series look a lot like Studio Ghibli’s 2011 video game Ni No Kuni: Wrath Of The White Witch. The decision to computer-animate makes sense given how difficult it would be to hand-draw 26 25-minute episodes, and while this allows the animators to do interesting things with shading and textures, the visuals lack the fluidity of the studio’s traditionally animated works. There are some gorgeous still images, but the stilted movement diminishes the vitality of the characters and gets in the way of the emotional storytelling. Despite the strength of the voice acting, the robotic quality of the cast prevents it from achieving the richness of other Studio Ghibli ensembles. The pilot spends 25 minutes building up to Ronja’s birth, introducing viewers to the Scandinavian setting and the robbers that are Ronja’s family. It effectively establishes the world around the lead character, but it could easily accomplish the same in less time. The series’ strengths are in its sense of place and its ability to evoke specific emotions like joy, anger, fear, and wonder, but the sluggishness of the narrative makes it difficult to get engaged and stay engaged. It’s hard to imagine children not getting bored by the thin plots of these episodes, although they might enchant very young readers hungry for visual and auditory stimulation rather than a compelling story. Ronja (Teresa Gallagher) spends considerable time in a beautifully realized forest, and there’s been a lot of attention put into the art direction and creating a lush environment for her and her new friend Birk (Kelly Adams) to explore. If only that exploration was backed by equally rich storytelling. Ronja spends nearly an entire episode with her foot stuck in a hole after a skiing accident, and her interactions with a family of gnome-like creatures underfoot don’t add much energy to the static scenario. In general, every episode feels like it could cover the same amount of material in less than half the running time. Recaps of the preceding chapters (narrated by Gillian Anderson) make it especially evident how little happens in each installment, and story beats are often repeated with small modifications. Ronja goes into the forest. Ronja discovers something dangerous in the forest. After meeting Birk, she returns to the forest and is dismayed to discover Birk has encroached on her private time. She discovers a different danger, but is saved by Birk, which sets them on a path to friendship. Seasons change, Ronja returns to the forest, finds herself in danger, and is saved by Birk again. This all takes hours to unfold, and back at home, Ronja’s father, Mattis (Rufus Hound), is constantly raging about Birk’s family setting up camp in their base. Mattis’ first temper tantrum goes on for far too long, and then he just keeps on throwing tantrums whenever Birk’s family comes up. There’s a lot of sweetness in Ronja and Birk’s friendship, and it’s possible that the series will pick up in the second half now that their bond is solidified (against the wishes of their parents). It’s more likely that the pace set in the first half will be sustained throughout. Slow and repetitive isn’t a good combination for modern children’s entertainment, particularly in an age where attention spans are getting shorter and shorter. Ronja would greatly benefit from some serious paring down.